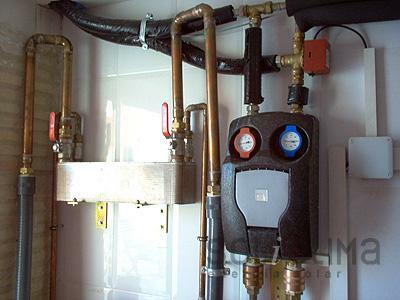 Solar hot water, radiant floor heating and pellet boiler in West Covina, California There are many systems used to heat water, including pellet boilers. Pellet boilers are different from other boilers because of the raw material they use for the combustion of energy, the pellets. 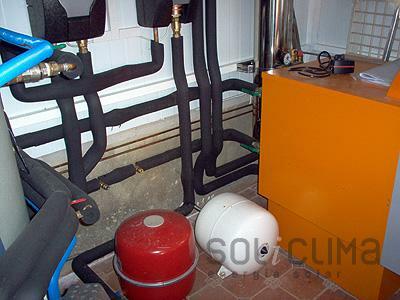 Solar hot water, radiant floor heating + integral solar assisted heat pump in Santa Ana, California This heat pump produces hot water and heating for the whole house, therefore, there is no need for a boiler. Solar energy for hot water for 4 + pool heating in Montgomery, Alabama The lack of space on the roof led to the placing of the solar panels in the garden, taking into account that they would never be under the shade. Solar hot water and greywater in Savannah, Georgia. The use of natural resources and renewable energy is essential today. - If new construction, target the main facade to the south and place the main living areas next to the facade. - If it is already built, use the most efficient heating and cooling systems. - Since solar energy is often not sufficient to cover 100% of the heating needs, we recommend installing an efficient energy power generating system. 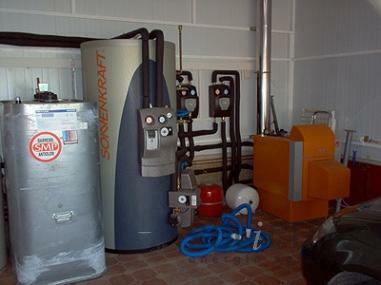 It may be a high performance gas o diesel boiler, a biomass boiler or a heat pump. We don´t recommend conventional gas or diesel boilers. - Install a radiant floor heating and cooling system.